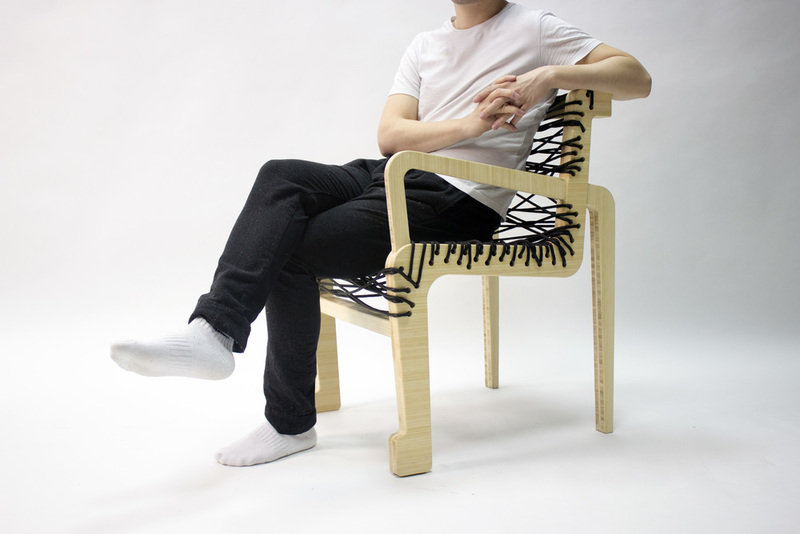 The Extension chair is inspired by the human body movement. The form looks flexible and chaotic that is related to people's sitting gesture. It is made out of bamboo plywood and Nylon rope and was built with CNC technology. 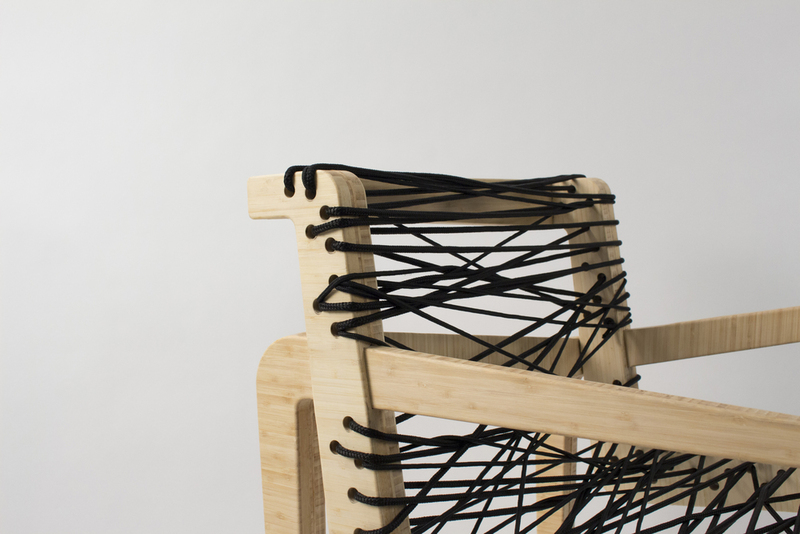 The Nylon rope gives more flexibility when people sit.